Horror movies are supposed to excite people out of their seats, or in some cases, scare them so much they’d leave the lights on while sleeping. But that doesn’t happen all the time. There are several horror movies out of Hollywood that elicit guffaws instead of gasps, or confusion rather than fear. For some, that’s a good thing, because they won’t have to sleep with the light on and have something to laugh at. But for most, it’s either a waste of time or a source of bad yet laughable memories. These bad-yet-so-good movies have also amassed their own peculiar cult followings. These movies are perfect for sleepovers with friends. Gingerdead Man takes the cake (pun intended) in this category. The movie begins with the mother of an executed convicted killer mixing his ashes with gingerbread dough. She brings it to the bakery of the woman who got him executed. The woman bakes the dough into a gingerbread man, which then comes to life and becomes a violent monster who goes after his executioner. The hilarious active and entertaining and bad production design complete the whole bad-yet-so-good movie experience in this one. 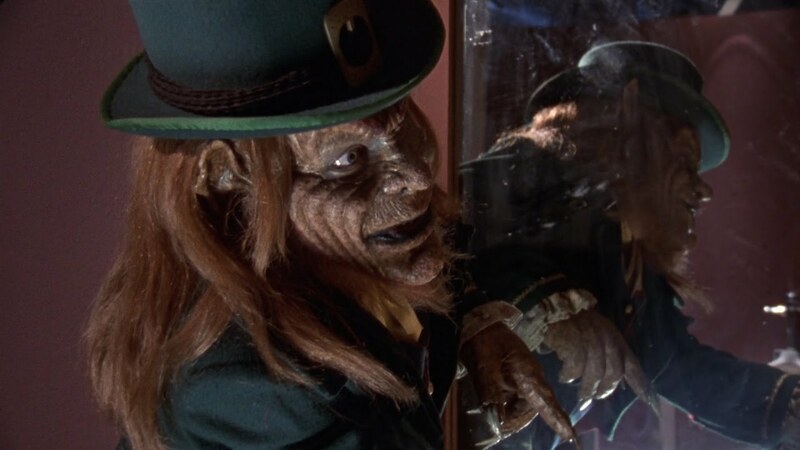 Leprechaun: In the Hood is the fifth installment of the Leprechaun movie series. It tells the story of three aspiring musicians who steal gold and jewelry, as well as a flute from a leprechaun statue from a rich but selfish music producer. The leprechaun statue comes to life and scares the musicians out of their wits just to get his flute back. It uses horribly racist and sexist humor against African-Americans. But it’s still funny, considering that the insults come from a leprechaun, not a real person. Stephen King’s horror is about a bunch of machines that come to life and attack humans after a cosmological phenomenon. The machines are supposed to be scary, but they come out as caricatures. The movie was King’s directorial debut, which definitely was not a high point in the bestselling author’s life. Troll 2 is not a sequel to the 1986 original. Rather, it’s about a group of vegetarian goblins who turn human beings into their food. The communication barriers between the multicultural cast and crew and the ghastly production design made it so memorable, that a documentary was made about it. Jason X probably is the worst movie to come of the Halloween franchise. The story is set in the future, where Jason is cryogenically frozen by the government. Centuries later, a group of space travelers come across his body and take it to space for no reason. Eventually, Jason wakes up and kills everyone. He even gets a muscular upgrade! James Nguyen’s indie parody of Alfred Hitchcock’s novel The Birds is about a couple and members of their small town who fight off attacks from evil birds. It’s so out of this world that it ended up being a favorite among some moviegoers.